"The National Emergency Management Agency (NEMA) has again advised states and local governments to immediately relocate residents of communities along rivers, waterways and flood-prone areas to safer grounds to avoid unnecessary loss of lives and properties. 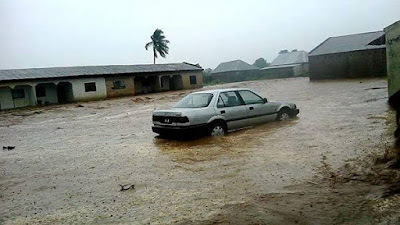 This warning become indispensable as result of heavy rains and the devastating affect of floods that have been witnessed in most of the communities along rivers, waterways and flood prone areas in the recent time, the Director General of NEMA, Muhammad Sani Sidi has said. He disclosed that since the Agency issued flood early warning alert, it has embarked on mitigation and preventive measures against the hazard by organizing workshops on flood awareness/ sensitization campaign through its six zonal offices and six operation offices in the country. He urged state and local government authorities to always march early warning with early action by introducing flood control programmes such as clearing of drainages and canals to ensure free flow of water, construction of new drainages where necessary, preventing buildings on waterways and relocating those living along flood plains to safer areas. He further said state and local governments should ensure adequate and proper refuse dumping sites from where they would be evacuated regularly.